Chauka was furtively shot on a mobile phone from inside detention on Manus Island and sent to Iranian-Dutch filmmaker Aras Kamali Sarvestani. 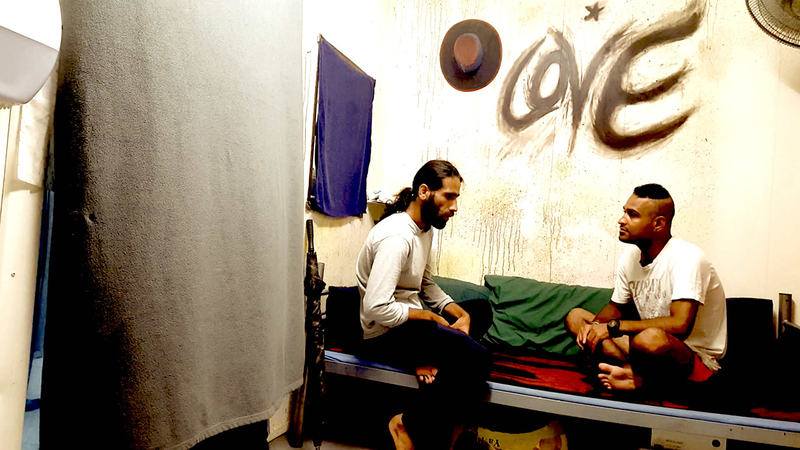 This important 90-minute film by Kurdish-Iranian refugee and journalist — and honorary Australian Media and Entertainment Alliance [MEAA] member — Behrouz Boochani, shows us something of what life is like for the 600 people held hostage to our Government’s failed “Pacific Solution.” They have been imprisoned in indefinite detention for over four years now and with no end in sight. Co-director Sarvestani was a student of Iranian auteur Abbas Kiarostami and that experience strongly influenced his collaboration with Boochani. Special screenings have been organised by the Refugee Action Coalition which continues to build pressure on the Government to safely re-settle these people.